Sports leagues, particularly professional soccer leagues throughout Europe and elsewhere, have taken advantage of ChyronHego’s player tracking and analysis technology in an effort to “up their game”. In a previous blog post authored by my colleague, David Eccles, ChyronHego's Sports Performance Director, he delved deep into a topic that has gained broad interest among a growing number of sporting leagues, Match Analysis. Match Analysis, he continued, was finally having a positive impact on on-field performance, turning Data and Video outputs into meaningful, contextualized information. He further postulated that everything done, from a Match Analysis point of view, must be translated into outputs that Coaches and Players can easily understand. Finally, it must result in information from which they can learn and develop. So, at the league level, the bar has been set and leagues are clearly experiencing a high degree of success with video and data performance analysis. But what about the impact at the individual team level? 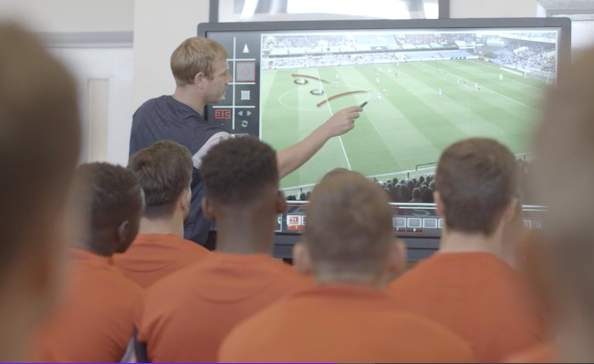 Clubs are now utilizing ChyronHego’s TRACAB Optical Player Tracking and Coach Paint telestration and analysis solutions in a cost-effective way. What’s more, clubs are seeing a direct and demonstrably positive impact across all departments, from sports science, to performance analysis, to coaching, and straight on to the individual player. We’ve produced a video titled The Evolution of Match Analysis, in cooperation with Bristol City Football Club of the Championship League, which illustrates the massive competitive impact an individual club gains when they combine both video and data.